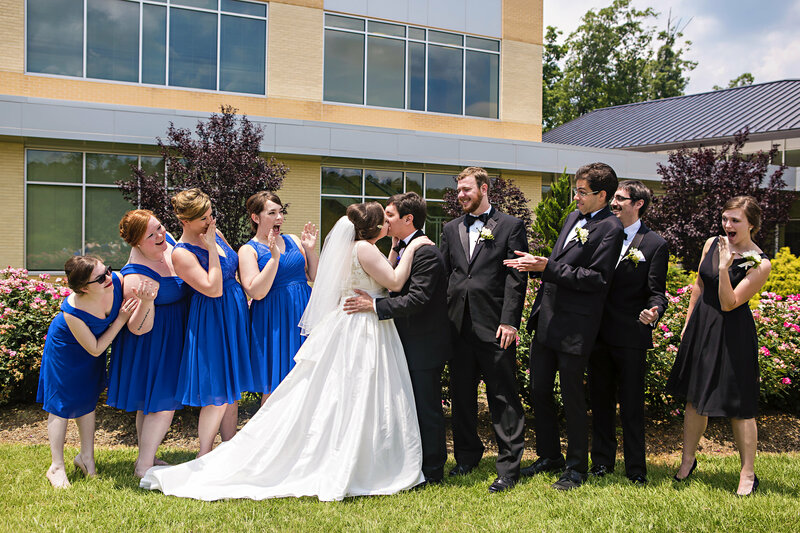 Cathy and Taylor celebrated their marriage at the St. Thomas More in Chapel Hill, North Carolina. They sing in the choir there every Sunday and their choir sang for them on their big day! 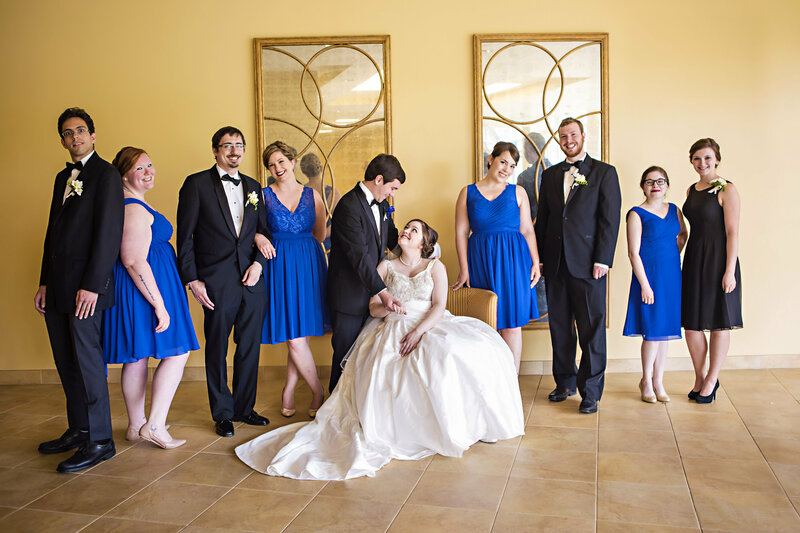 Their wedding featured jewel tones, with rich and bright shades of blue, green, pink, and purple! 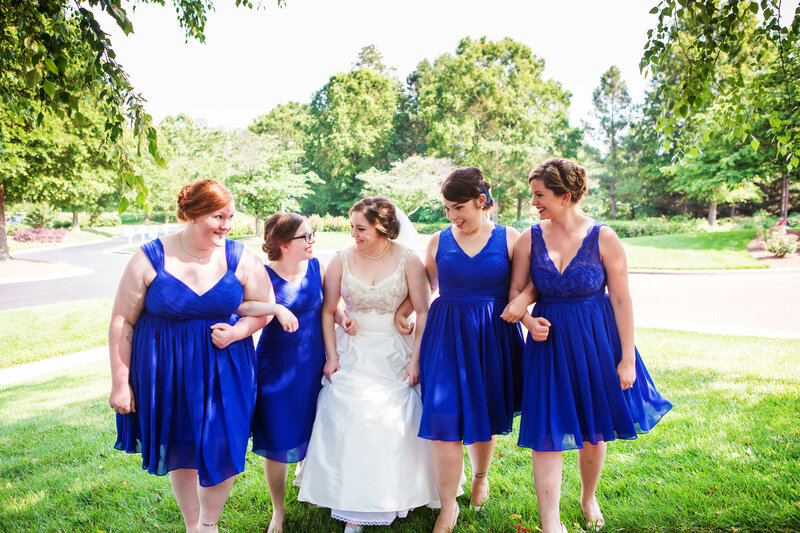 Cathy’s bridesmaids were wearing our Cierra, Annabella and Clara dress while the groomsmaid chose the Kaya dress! All photos were taken by Zoe Zen Photography. Q: Where did you have your wedding reception? Q: Why did you pick this color scheme? Q: Pick the best part of your big day. Q: Why did you settle on Azazie for your bridesmaids dresses? 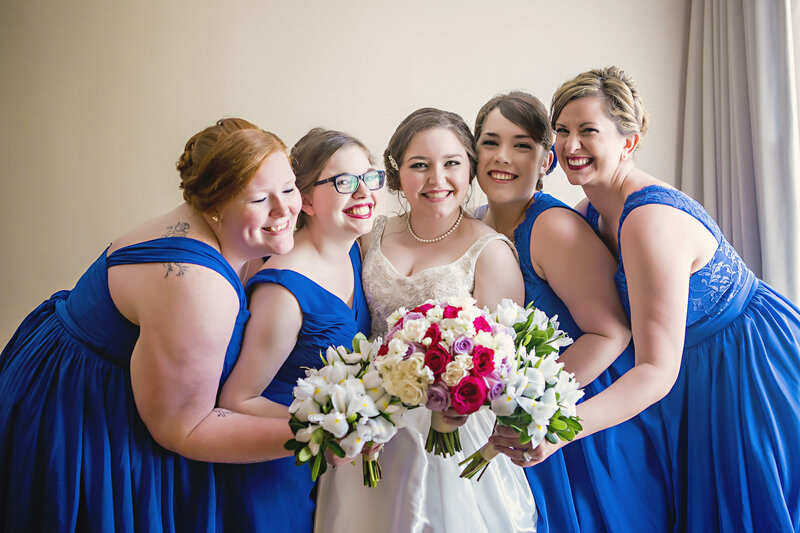 “​Azazie gave me all the flexibility I needed to find pretty dresses for a wedding party with a wide range of shapes and sizes!​ There were so many gorgeous options. Q: Did you enjoy planning the wedding? Gorgeous color! 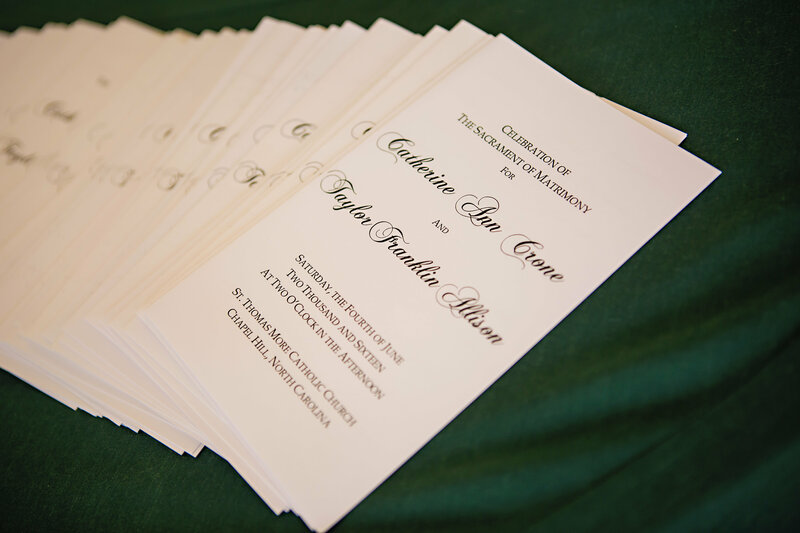 What fabric and color combination did the bride choose? These look like chiffon dresses in our Royal Blue color. But, we always recommend ordering color swatches because colors may look different under different lighting and devices.